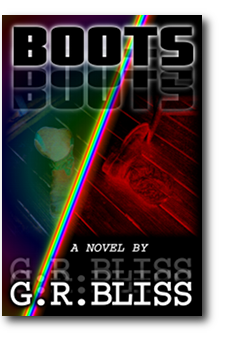 This week’s #FridaySnippets is from my current WIP “Boots”. This scene is simply the introduction of Special Agent Rake. It’s further into the story than anything I’ve posted before, but still closer to the beginning than the end. With that, Special Agent Rake headed toward the old unmarked cruiser that Dillard’s boss had provided until agents from the closest field office showed up with a shiny new government issued vehicle that would undoubtedly be loaded with all the latest technology and firepower that a fancy-pants “special” agent would require while ordering all the local law enforcement to process crime scenes and fetch him coffee. Who knows, maybe luck would shine bright and the whole psycho party would move over the hill. Rake would have a great time with the good ol’ boys that wore badges in that town. He had no idea how glad he should be that it hadn’t started there instead of here. He’d have been lucky to be loaned an old garden tractor until the rest of the Feds got here. I love what Dillard WANTED to say! Rake seems like the type of person in charge that everyone loves to hate. Rooting for the whole psycho party to move uphill 🙂 Already told you so, but I like your voice a lot. Thank you and likewise. That means a lot to hear that!